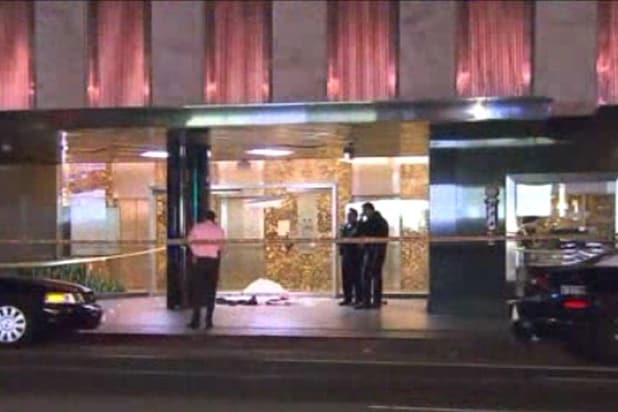 Los Angeles police are searching for the gunman who opened fire near the entrance of the Standard Hotel in downtown Los Angeles early Sunday morning. One person was killed and three others injured, when some type of altercation occurred at the upscale hotel around 2:30 a.m. Police initially said three people were shot, but later found a fourth victim several blocks away. All four victims were rushed to the hospital. One died a short time later, an LAPD spokeswoman told TheWrap. The other three were listed in stable condition. Shattered glass and the victims’ clothes could be seen in video aired by local television station, KTLA5-TV. The station later reported that the man who died was 21 years old, and would have turned 22 later this month. At least two of the people who were shot were guests at the hotel, witnesses said. No arrests have been made and no suspect description was available, according to police. Investigators plan to comb through surveillance video from the hotel for clues. The Standard, located in the 500 block of South Flower Street, is a celebrity hotspot and has been the setting for several film and television productions.